A little while after Bitter Orange was published in the UK, the author and blogger, Isabel Costello asked me to write something for her ‘literary sofa‘ website. If you don’t know it or her, she hosts a huge number of fascinating posts, author interviews and book reviews. This is the piece I wrote, republished here, about the inspiration for the location in Bitter Orange. There’s a place not too far from where I live called the hangers. It’s a short range of wooded twisting hills, so steep-sided that they haven’t been cultivated or much changed by humans, and the trees that cling there – beech, lime, yew and ash – are ancient. I regularly walk the footpaths snaking through these woods, and when I was looking for a location for my third novel, Bitter Orange, the hangers’ ghostly beauty seemed perfect. 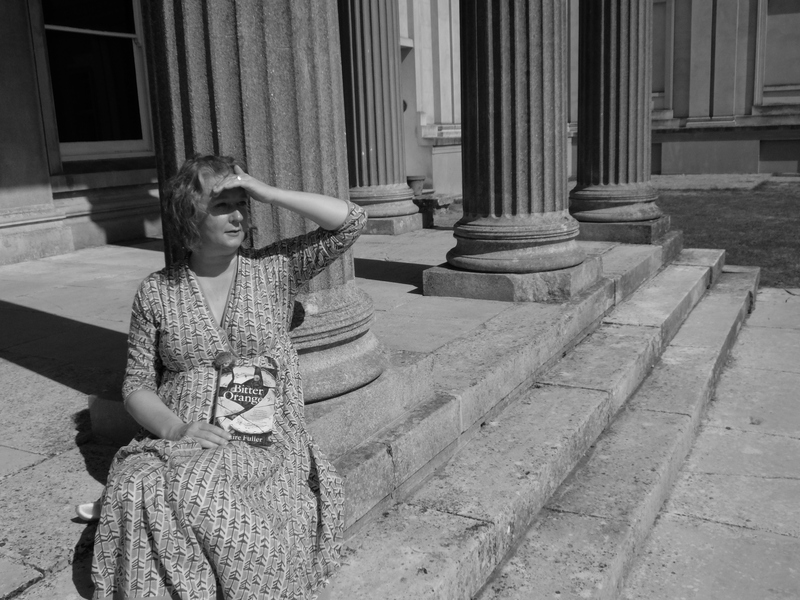 Bitter Orange is set in a dilapidated country house called Lyntons, and deciding which house it could be based upon was never going to be a problem. 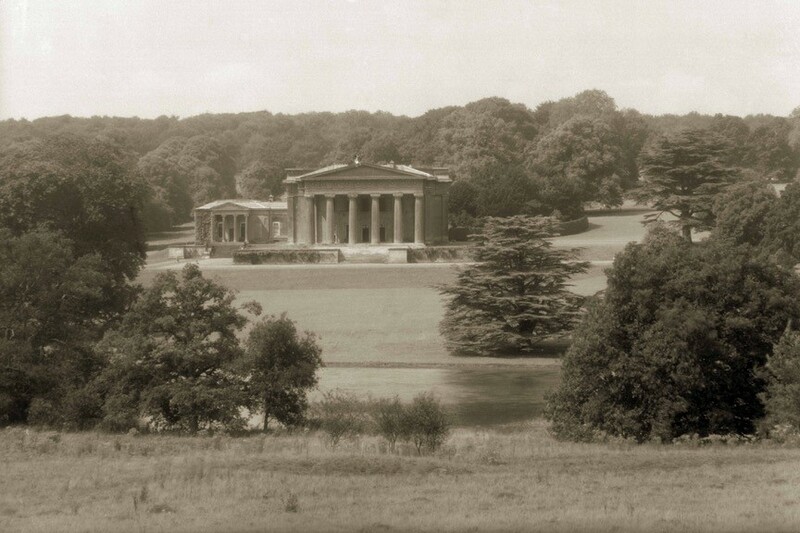 About ten miles from my house in the opposite direction to the hangers is The Grange, is a neoclassical property managed by English Heritage. In the grounds there is a lake and a small flint grotto, but most of the surrounding countryside is undulating farmed fields, beautiful in their own way, but not dramatic enough for what I had in mind. So, I shifted my house ten miles east and set it down right at the foot of the hangers. That’s one of the perks of being a writer – I can move anything to anywhere else, even whole country houses. Now the hills and woods corralled the house, keeping whatever was there isolated and contained. The original (real) house was built in 1660, red-brick and square, but in the early 19th century it was transformed into one of the finest examples of Greek Revival architecture in Europe. The land around it was built up so that the basement floor was completely underground, and at some point all the windows in the attics filled in so the servants mustn’t have got much daylight unless they went outdoors. In its hey-day The Grange had 24 indoor servants, while the estate supported 100 households. But two world wars changed life for many English country estates and due to death duties their owners could no longer afford their upkeep. Many houses fell into disrepair and were consequently abandoned or demolished. (In 1955 England lost one house every two and a half days.) And The Grange was no different. It was last inhabited in 1964, and in 1972 it was almost demolished by the Baring family who had bought it, until the government got involved and the house was preserved. And so it still stands today – preserved but unrestored. The outside is open to visitors (and free) all year round, but the inside is only accessible on certain dates for tours. And if you get to go inside you’ll understand why. Most of the interior has been ripped out, and many of the ceilings have gone (netting hangs under them to collect the falling debris). Plaster has gone from many of the walls, but enough remains to give this house an eerie atmosphere of a place kept in suspended animation. A house stopped in the final moment before disintegration. Once I’d decided that my characters would live in a house inspired by The Grange for the summer of 1969, I visited the outside often, walking around the huge cedar of Lebanon trees, and down to the lake. The orangery (once renowned for its innovative system of channelling rainwater down its interior pillars to water the plants) now houses an opera company – The Grange Festival. The Festival hosts open days and the house is usually open as part of England’s Heritage Open Days scheme. I visited the interior on as many occasions as I could, and I also wrote to English Heritage to ask if someone could show me around. Richard, the caretaker kindly took me into every room possible (there are still stairs up to the attic, but there are very few rooms that are safe) including every room in the basement. Here, the opera company stores its costumes and props, and so illuminated by bare bulbs I saw dummies and masks, brooms and top hats. As we walked around, Richard told me about the ghosts that haunt The Grange and confessed that sometimes even he (a down-to-earth type) doesn’t like to be there alone. I could see why. At least one of those stories made it into the finished version of Bitter Orange. In the novel there is a bridge over the lake and follies in the grounds that Frances, the protagonist is commissioned to examine, including a mausoleum, obelisk and ice-house. It took me two years to write Bitter Orange and the landscape surrounding the house is so firmly fixed in my mind that when I go back there now, I look around and always think, but where is the bridge, where are the follies, and why aren’t there any hangers surrounding the house?